Eolo tables combine in any number of ways with the various Arper collections, in an ideal blend of aesthetics and technology. 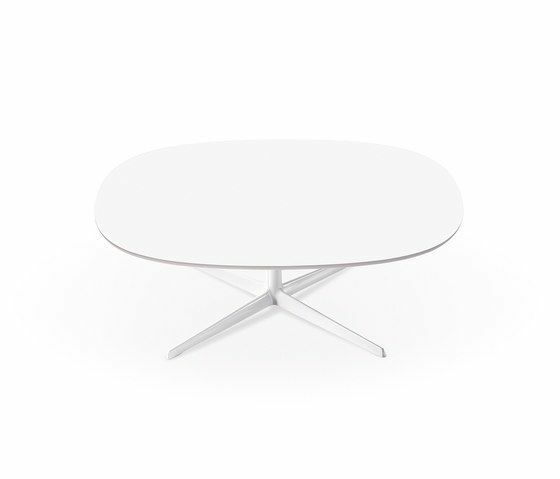 Eolo tables have a 4-star central base made of whitepainted cast aluminium. The top, in white MDF, comes in oval or round versions in various sizes.